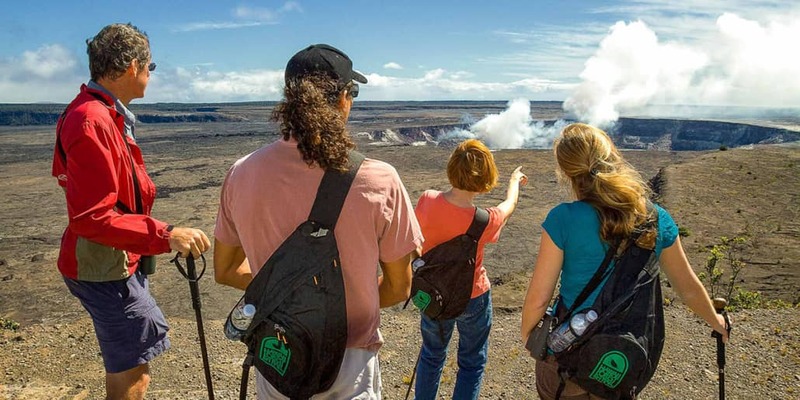 Get your hike on with one of our certified park service guides on our Kilauea Hike ‘n Glow volcano tour. 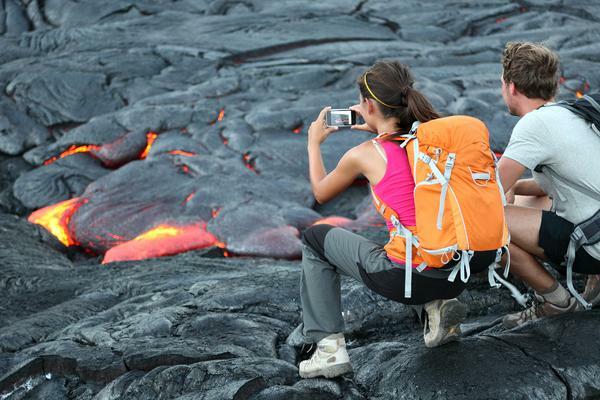 This is a specialized hiking volcano tour designed for adventurous guests looking to get off the beaten path and head off to unique areas of the Park not normally visited on organized tours. 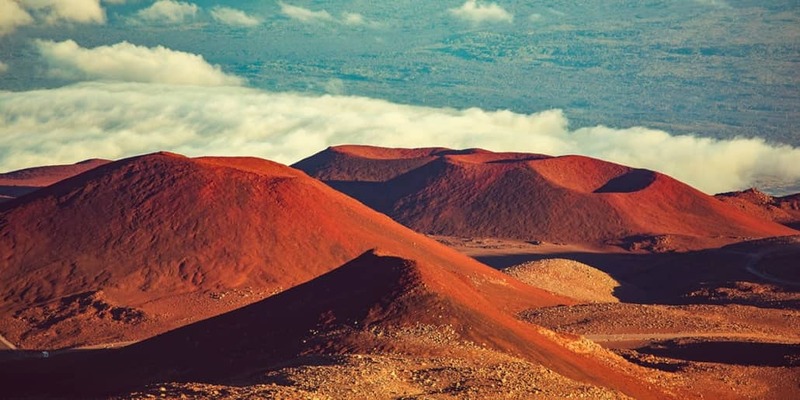 Starting at your resort in Kona, your guide will pick you up and drive you through the “saddle” between Mauna Loa and Mauna Kea volcanoes. Make a quick stop at our store in Hilo for provisions before heading off to Hawaii Volcanoes National Park. Here you will discover what makes this unique place a UNESCO World Heritage Site and International Biosphere Preserve. 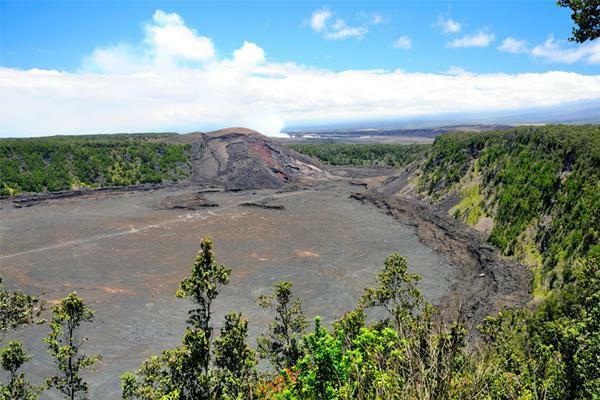 Start with a visit to the Kilauea Visitor’s Center and a picnic-style lunch. 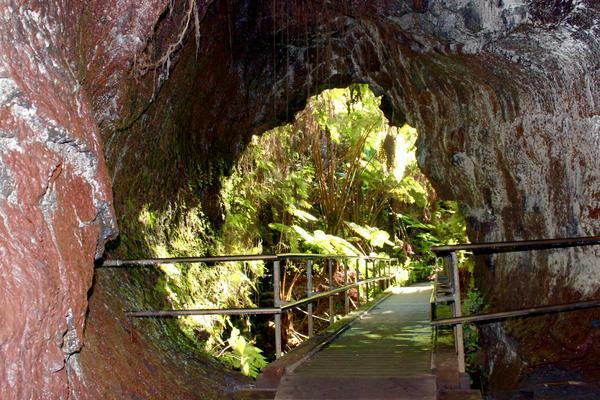 Visit the Jaggar Museum, and then on to the Thurston Lava Tube. 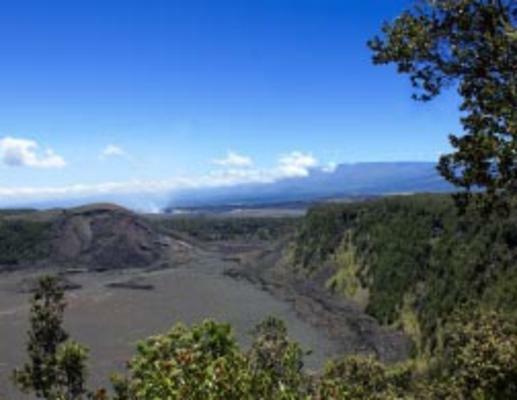 Hike down into the Kilauea Iki crater through the rainforest and across the still-steaming crater floor. Red molten lava may not be seen and cannot be guaranteed as volcanic activity changes constantly. Order of itinerary may change. Tour runs rain or shine. Activity level: strenuous. * 24-hour notice required to cancel tour for full refund. 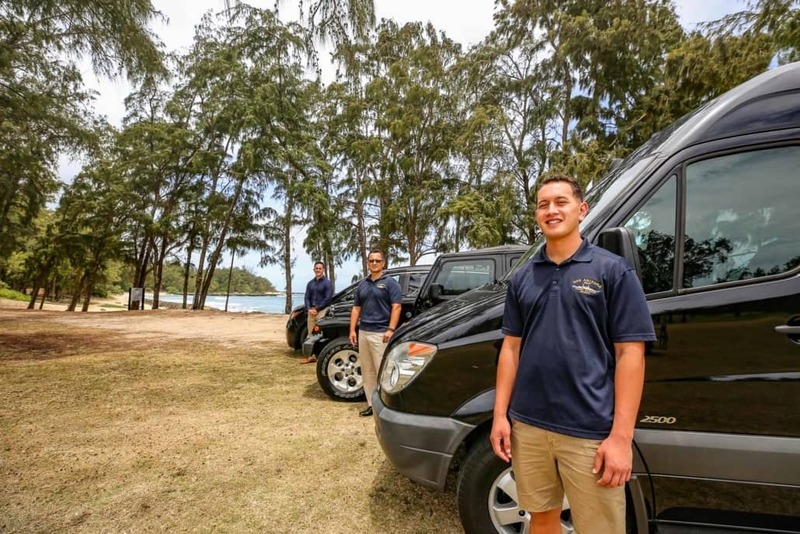 Pick up from Kona Area Hotels at about 9:00 AM, from Hilo Hotels at 11:30 AM. Video and/or still cameras, government issued ID, and tour vouchers. 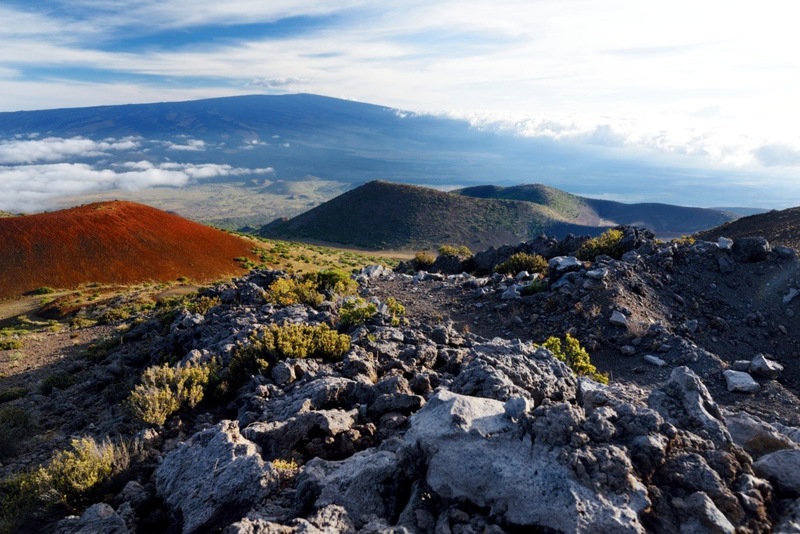 Moderate air temperatures at sea level with cooler temperatures at higher elevations on the drive from Kona; occasional rain showers; 4 mile hike with strenuous hike across uneven and steep, rocky terrain including black lava rock. Approximately 12 hours depending on pick up and drop off locations. Red molten lava cannot be guaranteed as volcanic activity changes constantly. Comfortable walking shoes required. We’re happy to accommodate special dietary needs and restrictions, including children’s meals, with advance notice. Order of itinerary may change. 24 hours notice required to cancel for full refund. Tour runs rain or shine. All guests (including children) should be able to negotiate a strenuous 4-mile hike, unassisted, which includes a high number of steep uphill and downhill sections. Guests with small children are responsible for providing their own child carriers to safely navigate the entire hike. Your adventure begins at your resort in Kona. 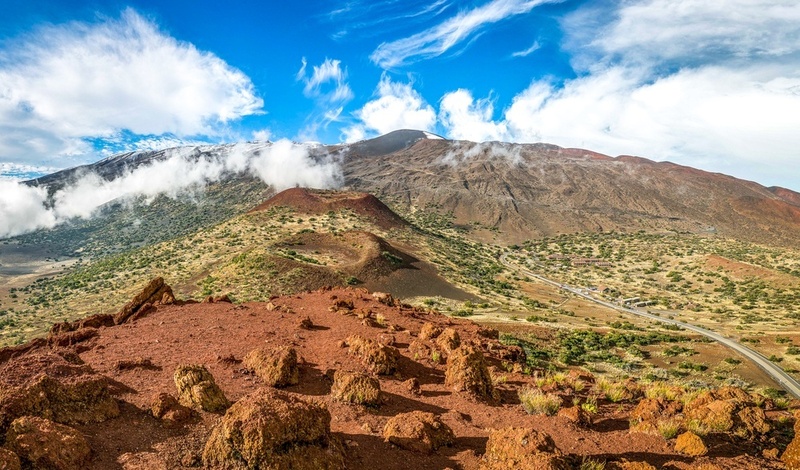 Your guide will pick you up from the resort before driving you through the saddle (middle ground) of Mauna Loa and Mauna Kea volcanoes. 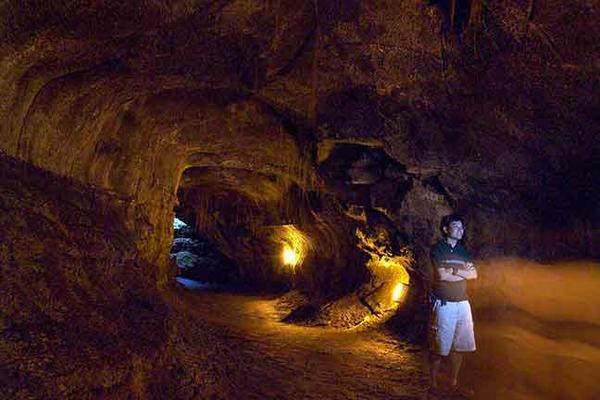 After a scenic four-mile hike, you’ll have the opportunity to walk through the famous Thurston Lava Tube. 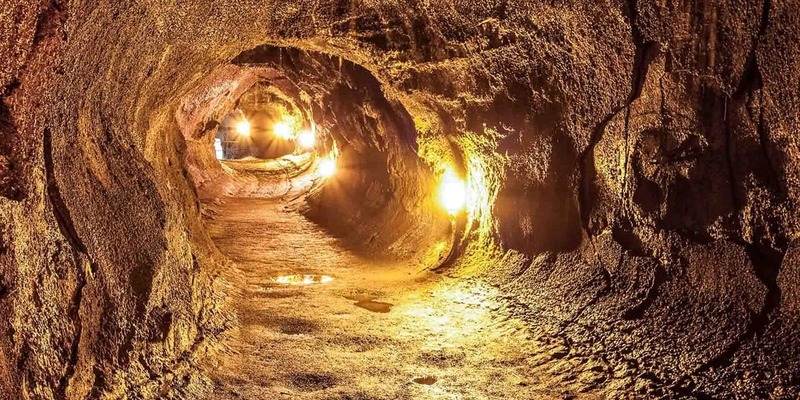 The tube, which could have been formed anywhere from 300-500 years ago, is one of the most popular attractions in Volcanoes National Park. Next, we break for a delicious dinner at the Volcano Winery. Here, you’ll be treated to a private vineyard and tea orchard tour as well as a complimentary wine tasting or glass with your dinner. When you’re finished, we’ll head back down to watch the sunset. 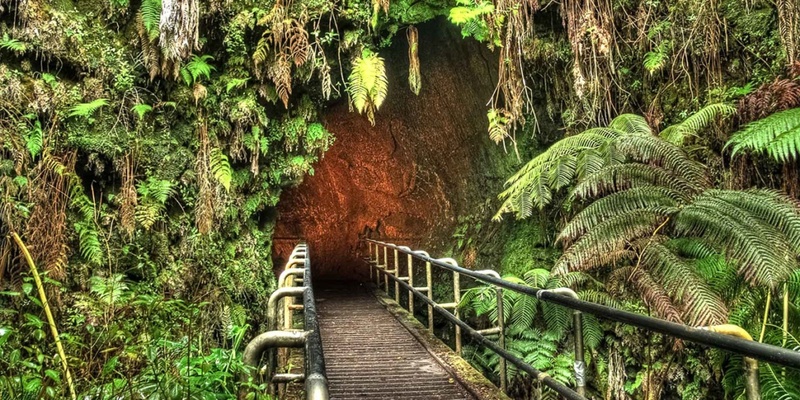 This 4-mile hike culminates in a walk through the Thurston Lava Tube. Enjoy dinner at Volcano Winery. Guests can expect a private vineyard and tea orchard tour, plus a wine tasting or glass of wine included with dinner at the Winery. 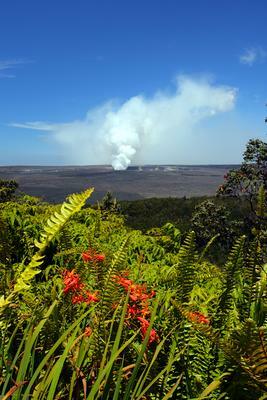 Return to the Park and watch for current volcanic activity as the sun sets before returning to Kona or Hilo. 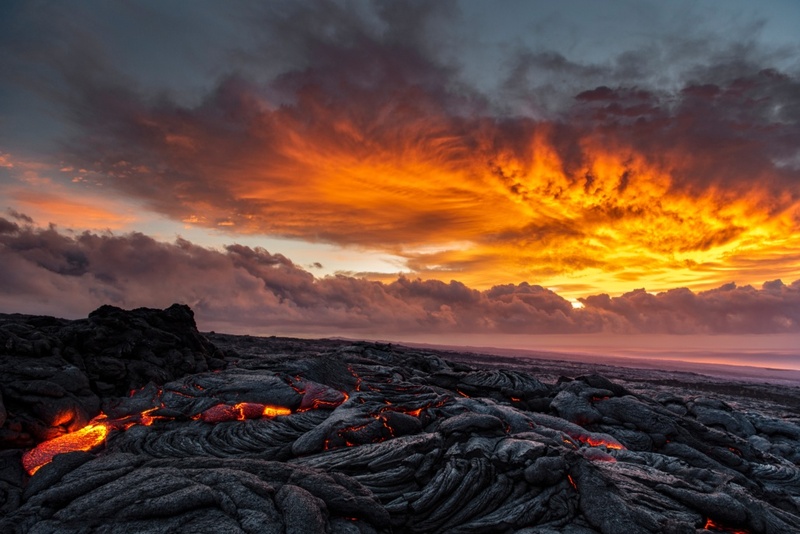 No trip to Hawaii is complete without a stop at Volcanoes National Park. 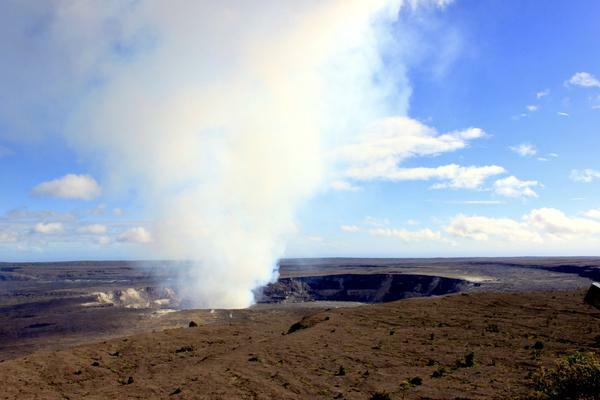 The park, which includes two active volcanoes, Kilauea and Moana Loa, is both a popular visitor’s attraction and a sacred place for many Hawaiians. What is included with our tour?